See Medifab at ISS Pittsburgh! Watch some highlights of the action on the Medifab booth at the 35th International Seating Symposium in Pittsburgh USA! Our team enjoyed an amazing experience where we were meeting with so many passionate people who want to achieve great seating outcomes for wheelchair users. 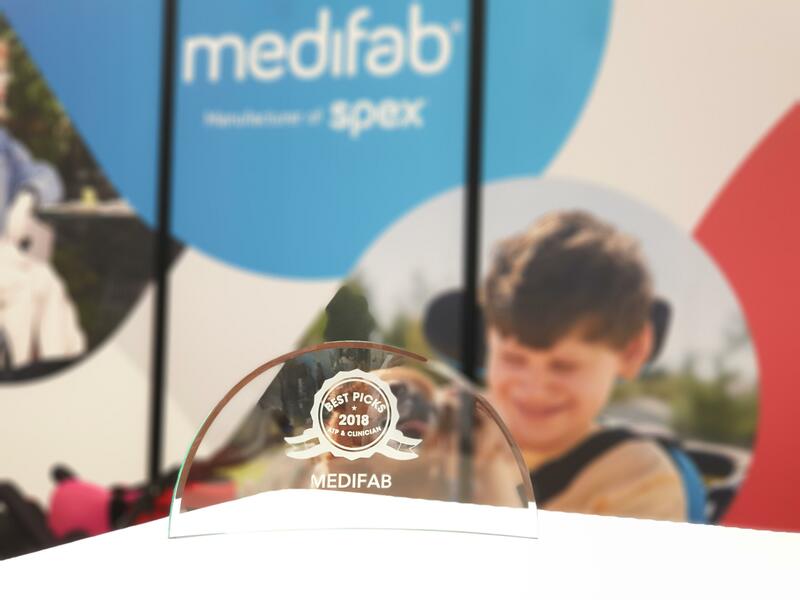 Medifab were honoured to receive Mobility Management's '2018 Best Pick Product' Award last week at the International Seating Symposium, Pittsburgh USA. Now in its eighth year, Mobility Management’s Best Picks program asks clinicians and providers working with Complex Rehab Technology to name their favourite seating and wheeled mobility products. Spex positioning technology was selected along with other key seating and wheeled mobility favourites among clinicians. We take this moment to thanks all the ATP’s, clinicians, businesses and customers from around the world who connected with us. Learn more about working with Medifab and becoming part of our worthwhile mission, submit your interest in our dealer application form here. Find out more about Medifab here.